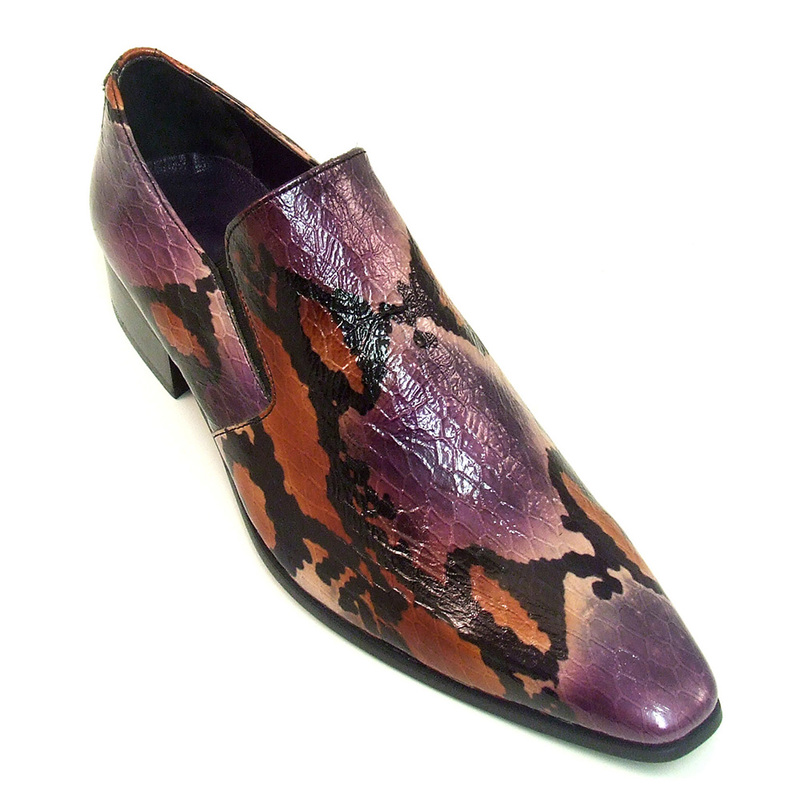 Funky brown and purple python effect slip-on shoe. Created by experimental shoe designer Gucinari. 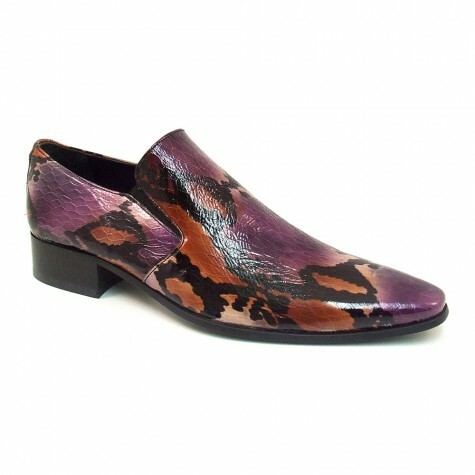 Animal print shoes that say something about you! Be the first to review “Racer Purple Python Slip-On” Click here to cancel reply.